The Zodiac Posts – TAURUS  WHO is Strength? In the last of the Strength-themed posts inspired by the Taurus sign, before I move on to “Gemini” which gives me a perfect excuse to take that literally and do some posts on twins/doppelgangers as tropes, characters and their foils and all that sort of thing, I thought I’d do something more visual and fun! I’ve already asked what three words “strength” immediately conjures up in my word association game, and I’ve briefly mused about Strong Female Characters and how my own writing doesn’t seem to have any. I don’t believe in writing tropes unless you’re doing it deliberately to make a point; I believe in writing about people. So here we are, with my final inspired idea. I asked my friends and followers on Facebook and Twitter if they could each pick three “strong” fictional role models. They didn’t have to justify them but they could if they wanted – they just had to give three names from any form of media who, to them, represented “strength”. As I’ve said in previous posts, I was brought up by my grandparents and my great-grandmother. That probably explains a lot about my three childhood/teenage fictional role models, whom I saw as “strong” women. I grew up loving Miss Jane Marple, avid gardener, keen knitter and devoted aunt, who had in her youth fallen for a married man who had gone to war and never returned. Underestimated by almost everyone who meets her but held in high regard by those who know of her remarkable powers of observation and deduction, Miss Marple is the “grey-haired cobra” and notorious “nosy parker” who gets to the bottom of murder most foul. She also gets to have afternoon tea a lot. Which I also like the idea of having. Miss Marple sees the world and everyone in it through the prism of her little English village, St Mary Mead. A professional student of human nature, there is very rarely any type of behaviour she encounters which she cannot link back to a case study from her village, and the people she knows so well. She is also maternal and chatty, plays up to the dotty old lady impression to get information and appear harmless to potential suspects, and lives a quiet, rich, full life with her many friends (when not solving murders). 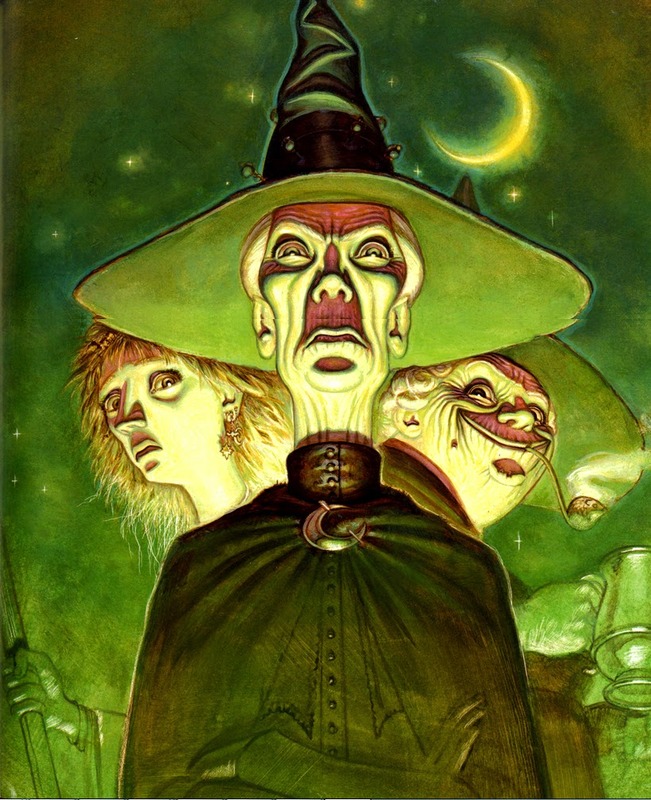 Then, there was my discovery of Discworld, and Esme “Granny” Weatherwax. I picked up a copy of Witches Abroad in our High School library and I was hooked. Granny Weatherwax never gives up, or admits that she’s wrong, and practices ‘headology’ on people. She defeats Elves (no, they are not nice), vampires, twisted fairy godmothers, usurping rulers, and often has to overcome herself. She knows exactly who she is, and has loyal friends (each strong in their own way) to make sure that her independence and hot temper don’t get the better of her. I was drawn to her because of that ‘weaker’ aspect of her character – the fact that she needs other people to ground her and keep her from cackling (first it’s the cackling, then you’re up to your eyes in spindles and it’s nothing for it but a hot oven and a fast horse) and the fact that she would be fantastically terrifying as a ‘wicked’ witch but relentlessly does the right thing. Her pride is her fatal flaw, but it’s her self-control and will of steel that triumph, and the fact that she has a very balanced and accurate understanding of human nature. To quote her best friend, Gytha “Nanny” Ogg, (whom she cannot be doing with at all), if you throw yourself on Granny Weatherwax’s mercy, you had better be damn sure you deserve to bounce. … Video Clip: Counselling for the Dying. When I posed the question on Facebook and Twitter, I had a HUGE range of responses. Just as a lot of people responded very differently to “What Is Strength?”, people had a range of fictitious “strong” role models too. Remember folks. Always be yourself. Unless you can be your fictitious role model – or Waiting for God‘s Basil. Then always be Basil. Huzzah! My choices got mentioned!